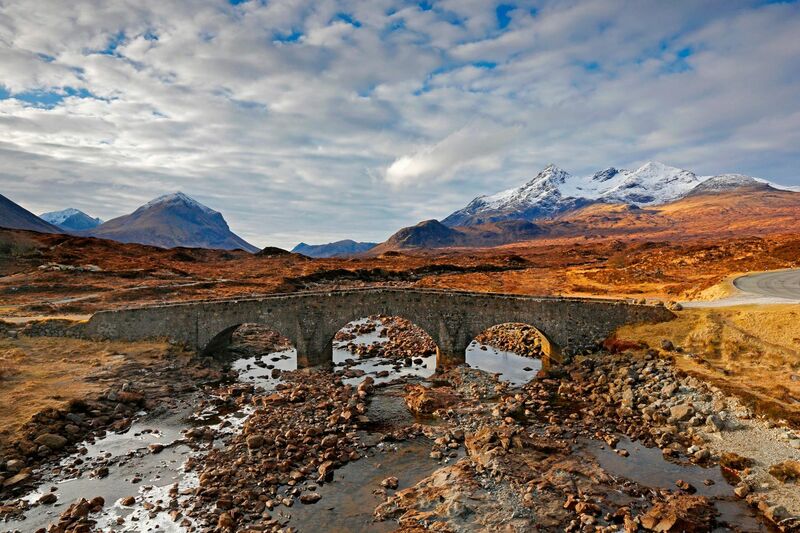 This image of Bla Bheinn and the Cuillin from Sligachan Bridge is one that you must have in your portfolio. This image was taken in April when there was still quite a lot of snow on the Cuillin and parts of the river were still frozen. It’s a great walk as well towards the Black Cuillin and Blaven.